A good catch of 56 moths of 20 species, I was just going through the egg trays as you do, more brown stuff, o a Burnished Brass...nice, a few Barred Sallow adding a bit of colour and a different Large Ranunculus making it look better all of a sudden with a quickly potted Ypsolopha sylvella......then out of the corner of my eye I had missed a VESTAL on the underside of the Robinson collar, I was shaking as I went to pot it up and what did it do, it flew off! luckily it went straight to the light and I got it in time, phew! It is my 1st UK record of this delicate and pretty moth having seen it a few times over the years in various Countries and recently this year in Egypt. Very happy! the moth didn't play ball so a semi-decent photo is all I can manage for now! I haven't photo'd mine yet, too busy with the Long-tailed Blues at Kingsdown! Congratulations Ben- A well marked one too. This is a great year for this species. 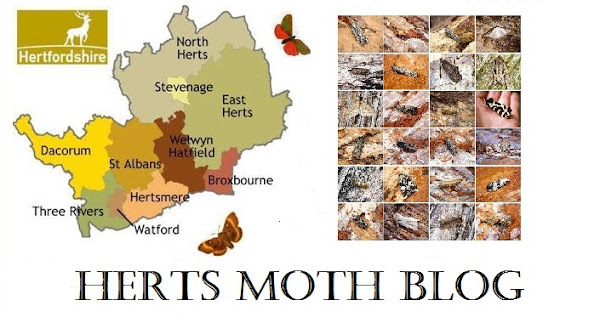 I've had 3 this year- in Bedfordshire!